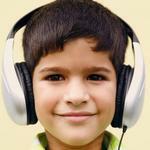 Many autistic children are characterized as being deaf at times. This is consistent with the common description of these children as `living in a shell' and `blocking out' or `tuning out' people in their surroundings. A recent analysis of the E-2 data from the Autism Research Institute in San Diego, California indicated that 50% of parents suspected their autistic children of being "very nearly deaf." Bill Clark suggests that the modulation of the AIT music may train the listener to `tune in' to his/her environment. Basically, the listener cannot anticipate the random changes of the music during the listening sessions (i.e., modulation); and thus, he/she cannot `tune out' or ignore the music. As a result, the person begins to listen (or `tune in') to the music. By conditioning the person to attend to the music, the person is then able to generalize `tuning in' to their surroundings. 2. Shifting Attention by Stephen M. Edelson. Researchers have shown that autistic individuals often have problems shifting their attention from one source to another. Much of this work has been performed by Dr. Eric Courchesne and his colleagues at Children's Hospital in San Diego, California. For example, a common situation might be: a child is playing with a toy and is asked by a parent to get ready for dinner. Initially, the child's attention is focused on the toy, and then he/she needs to shift his/her attention to the parent's instruction. The average non-autistic child can shift his/her attention within one to two seconds. However, an autistic child will continue to perseverate on the toy, and then gradually shift his/her attention to the parent's instruction. It may take 3 to 5 seconds, or even longer, to shift attention. According to Dr. Courchesne, this inability to shift attention appropriately is a result of structural abnormalities in the cerebellum. Furthermore, Dr. Courchesne proposes that this attention shifting problem may be a critical problem in autism. That is, if a child cannot shift attention in an efficient manner, it will be difficult for him/her to learn about their environment, especially to learn language. For example, if a child shifts attention too slowly, he/she will lose the context of what was said and have difficulty understanding. Dr. Stephen Edelson suggests that AIT may train or condition the listener to shift his/her attention more rapidly and more efficiently. The modulation during the AIT listening sessions changes the music at random intervals. At one moment, music from the low end of the frequency spectrum is presented; and at another moment, music from the high end of the spectrum is presented. The BGC Audio Tone Enhancer/Trainer also changes the volume level at random intervals. One might argue that the listener is trained or taught to shift his/her attention during the listening sessions since the AIT music is constantly changing from low to high frequencies and from soft to loud music. I believe the stapedius muscle is the mechanical link to get sound efficiently from the middle to the inner ear, but I believe it is the vestibular system, which is being hit hard with the AIT input that's making the big difference for the AIT candidates who need work on the vestibular system (which has so many influences on so many areas of the body and their functions) to be more fully functioning human beings. Dorinne Davis is an audiologist. I would think that most occupational therapists who work daily in the trenches, with the vestibular system, relate these functional changes with AIT more to vestibular influence than anything else (meaning - not a single muscle is doing all that, as the stapedius is simply an efficient mechanical link and another door, an quicker door, than other doors to get to the vestibular system). By the way, the stapedius is a skeletal muscle, which means it is influenced, like the other skeletal muscles (for long sustained contractions to keep us upright in space, working against gravity, maintaining our posture and holding positions) by the vestibular system. Skeletal muscles are not suppose to be under voluntary control. For our kids who have problems with vestibular influence on these muscles, the only way they keep themselves up against gravity is through either constant wiggling or seeking constant external support for posture (by lying on the floor or by leaning on surfaces). The flexor muscle groups, however, are influenced by the red nucleus, not the vestibular system. Flexor muscle groups are under voluntary control. They are phasic muscles, meant for sprinting, and are not for sustaining. These are the muscles we use to do activities such as play with objects, do sports, draw, write, eat, dress ourselves and engage in our environment in so many ways. Working against gravity with the flexor muscle groups are key to motor planning ability. What I wrote here is not lifted from a book. It is my belief in working with kids doing SI, NDT and developmentally sequencing their skills for the past 30 years that this is probably happening. Are there others in the Pro group who think differently about this or have other information that I'm not aware of on this theory? I believe Auditory Integration Training is strongly influencing the vestibular system to get the big bang! For those kids who already have well functioning vestibular systems, maybe they are the ones who don't seem to make the changes in function with AIT. " "I am aware that Steve Porges is doing research on the Polyvagal theory which seems to have a correlation here. The vagus, the 10th cranial nerve, contains pathways that contribute to the regulation of the internal viscera, including the heart. Vagal efferent fibers do not originate in a common brainstem structure. The Polyvagal Theory is introduced to explain the different functions of the two primary medullary source nuclei of the vague: the nucleus ambiguus (NA) and the dorsal motor nucleus (DMNX). Although vagal pathways from both nuclei terminate on the sinoatrial node, it is argued that the fibers originating in NA are uniquely responsible for respiratory sinus arrhythmia (RSA). Divergent shifts in RSA and heart rate are explained by independent actions of DMNX and NA. The theory emphasizes a phylogenetic perspective and speculates that mammalian, but not reptilian, brainstem organization is characterized by a ventral vagal complex (including NA) related to processes associated with attention, motion, emotion, and communication. Various clinical disorders, such as sudden infant death syndrome and asthma, may be related to the competition between DMNX and NA. My take on the "middle ear muscle exercise" theory is that it is only a tiny part of what Berard AIT does, and that it may have been seized upon by non-audiologists and blown up out of proportion. Once we started using impedance or immitance testing to obtain tympanograms, we would see that we were not getting the ossicular fixation pattern nor some other sign that the muscles were operating abnormally. Instead, science found that most abnormal acoustic reflexes (the way we measure muscle activity in impedance/tympanometry) were more often made abnormal by problems with the VIIth, YIIIth, and/or Vth nerves - i.e. that the problem was usually in the auditory nervous system. This leads us to the area of auditory processing disorders. The high percentage of middle ear effusion in the history of many of our children may be a better indicator of a more extensive immune system problem than of the presence or absence of auditory processing problems or the need for Berard AIT. I think that it is probably the effects of immune system problems on the central nervous system that helps produce (though not the only cause) both the middle ear problems and the other symptoms. I think that current science has shown a much better explanation of the benefits of AIT than muscle exercise, namely, better neural synchrony. The better the timing of the neural firing (think of a group of race horses all bursting out of the starting gate at the same split second), the clearer the message at the other end (like bringing in visual images into alignment when focusing a camera lens). There have actually been a few P300 evoked response studies (see AIT research) verifying this post-AIT effect. As both a Certified Tomatis practitioner and AIT practitioner, I will try to respond.... I have been doing research with the acoustic reflex (AR) muscle (stapedius) pre and post AIT since 1992. I have consistently demonstrated that 91% of my clients changed to normal AR responses after AIT, 8% has changed to normal within 3 months post AIT, and 1% continues to have similar issues. My original N was 259 subjects. I have repeated this with another N of 200. Now I am just collecting data for a larger N but overall my research consistently demonstrates this change. When I test, I do so on a Diagnostic Acoustic Reflectometer. My original unit measured the AR down to responses at 40 dB at 500, 1000, 2000 and 4000 Hz. This unit recently died and I have replaced it with another Diagnostic unit which is computerized. This unit starts at a 50 dB response again at 500, 1000, 2000, and 4000 Hz. I could set this machine to do other frequencies as well and will in the future. The importance of this is that most audiologist's AR units are either screening for the present or absence of the response or begins testing at 70 dB. When starting at 70 dB, they do not catch the over-reflexing AR's which I have found to be very indicative for the need for AIT, and when screening, it doesn't tell you at what level the response is moving. This AR response not only impacts one's sense of hearing but also balance, coordination, and proprioceptive responses. That is why when AIT is done properly that not only the audiometric hearing sensitivity levels change but changes are also noticed with balance, coordination, and proprioception (and other areas). This AR response will impact a number of different cranial nerves as well. Personally, using the information that Dr. Berard taught us, I have put together 4 indicators for identifying the ideal AIT candidate. But when talking about Tomatis, one is no longer talking about one's sense of hearing. Tomatis is all about listening. The reason, I would assume, that the Tomatis practitioner said that the ear muscles have never been exercised or used properly comes about in how Dr. Tomatis addressed the function of the middle ear muscles. Although we can measure the AR, to date, there is no way to specifically measure the Tensor Tympani muscle. Dr. Tomatis talks about massaging the two middle ear muscles. Dr. Tomatis' method is very different from AIT, but they can support each other. I have consistently good positive changes with clients who start with AIT, while addressing their sense of hearing, and move into Tomatis to stabilize the effects of AIT. Not every one needs both, the key I have found is in a test battery that I have developed to determine when and if a sound therapy can be beneficial at all. I am trained and certified in 13 different sound-based therapies. Each one can be beneficial but only when introduced at the appropriate time. As for the Tomatis practitioner's words, well, I may have said it a little bit differently because there is more happening because of vibrational sound stimulation and the benefits are certainly more than the receptive language and cognitive responses. I hope this helps a little bit. The key to understanding the benefits of all the sound-based therapies is not hearing, listening, auditory processing, vestibular responses or other responses, but is to evaluate the body's responses to sound stimulation, which may be with hearing, listening, etc. It is much broader and comprehensive and will be where all research must be focused for the future." "My feeling is that many of our children have problems in the way the auditory pathway it has been organized during the infancy. That is the reason that even we give them a new auditory tool to understand the world, they process the information in the old fashion so the brain circuitry re-organize again in that way, keeping on mind that the auditory stimulation environment is normally the same. It is very interesting to know that other practitioner are also repeating the sessions." "I don't necessarily think the differences in the auditory system of the children we see occurred during infancy, but more likely in utero when systems were forming. Research has found that autistic spectrum kids brains are different with auditory structures, which are too small or malformed. Also, the neocortex has cells that shouldn't be there and the cerebellums have too few purkinje cells. Maybe the repeats of AIT are necessary for this reason, but also any changes in the environment, chelation, supplementation, diet etc. may be causing set-backs." "I would support with confidence the giving of AIT to children as young as possible, even under the age of 12 months if the disorder has become evident to early. However, I believe we are severely and unnecessarily limiting AIT if we class it as an auditory treatment... it is my conviction that AIT is a integration-training system, using the auditory-vestibular pathway, but impacting on sensory integration systems as a toning experience, leading to improvements in integration-based behaviors, such as attention, alertness, responsiveness (visual responsiveness too), memory, etc...all the improvements we see in AIT. Still non-medical, as non-medical as going to the gym, - but impacting on these systems all the same." "It is important to recognize the value of AIT as an integration training system. We do access this system through the ears with sound stimulation because the vestibular system is in the auditory system, or inner ear. But due to the connections to other areas of the brain, we actually stimulate many important functions. The data that I have posted on my website illustrates this with pre/post test scores in a variety of areas, including visual, motor and sensory integration. While the auditory hypersensitivity and auditory processing problems are important indicators for AIT, there are others that we should not overlook. I believe that the improvements we so often see in attention and concentration are due to the decrease in sensory problems. A adult or child can not attend to other things if there are sensory integration issues that are distracting him. Once AIT brings this system into balance, attention is available for other things. Based upon this concept, I agree that AIT may facilitate the neurofeedback training as the child will have better attention, concentration, processing, etc. for the program. "I am a clinical psychologist running a general practice and also treating children and adults with learning problems, using AIT and other sensory training techniques, like vision training. Using AIT, I mainly see children with Auditory Processing Disorder referred by an educational psychologist. Assessments include a Scan C for auditory processing disorder, hearing tests and a WISC, the Wechsler Intelligence Scale for Children, plus a questionnaire identifying the most salient features of APD. Results using AIT are consistently positive, with parents reporting improvements in behavior, emotional control, listening ability, musical ability, motivation, and concentration. Adults report the same benefits with an emphasis on clarity of thought, organization, emotional stability and improved mood plus ability to think on an abstract level. My opinion is that AIT Practitioners need to be aware of the link between activation of primitive reflexes of the brain stem through AIT, with other neural structures like the reflexes of the limbic system which activates emotional defenses, like anger, fear and grief. Therapeutic responses to these states need to be available to the client. More than a reassuring comment is needed. I have discussed the complexity of the effects of AIT and other sensory training methods on the personality in a manual, called the 'Neuro-psychotherapy Advanced Guide', which I usually give to my clients to read prior to treatment. I have developed Neuro-psychotherapy, which includes AIT, as a treatment of stress, depression, anxiety and recovery from trauma. This is a very effective therapy for children and adults. Training in Neuro-psychotherapy is available to psychologists." "The regression that you may hear about in relation to AIT is important to understand so that you will help your child adjust more easily to the changes in his system and his perception of his world. 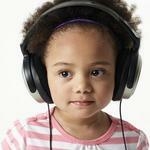 First, it is not just the hearing/auditory processing that may change. Improvements may occur in all sensory areas (i.e. vision, touch, smell, hearing, taste, proprioception, etc.) This occurs because the vestibular system is stimulated through AIT and typically begins to function more efficiently. Since the vestibular system is the primary control center for sensory processing, any type of sensory processing may be impacted. Thus, the child experiences a whole new world. He has to explore this new world and learn about it just as infants and toddlers explore their world and learn. Your voice may sound different to him, his own voice may sound different, his food may taste and smell different, and things may look different. He may now see with depth perception, better color, and/or better acuity, etc. It is a lot to adjust to! The regression is usually behavioral, due to the child’s feelings of insecurity with his new perceptions and the fact that is can take some time to integrate all the input from the AIT. They may want to go back to a safer time since all this new stuff is so different!" "In addition, AIT also impacts on the cerebellum since there is a connection between the vestibular system and the cerebellum. So functions that are regulated by the cerebellum may also improve. We often see improvements in motor sequencing and planning, motor coordination, balance, sense of direction and orientation in space, rhythm and a decrease in anxiety, etc. As all these functions become more efficient and the system is not overwhelmed with distorted perceptions, the child can function better and begins to want to engage socially. However, he has had limited opportunities to learn how to be socially appropriate. Now it is very important to provide teaching in this area (as well as a lot of other areas!). The teaching may (and should) occur at school and at home. It is important to discuss social skill training with the staff and see what arrangements can be made for this. There are also social skills groups run at centers with speech/language therapists/social workers and other therapists. Parents sometimes access these centers after school on a private basis. Other options include setting up play dates with other families in the communities, accessing the local park, etc. The key element is to actually teach the skills, not just expose the child to other children. I could go on and on, but really have to get to some other work! I hope this is helpful." Opioid Hypothesis of AIT by Jaak Panksepp. There is growing evidence that some individuals with autism have elevated levels of brain opioid activity, and some assays have suggested the presence of an uncharacterized variant of beta- endorphin. This is supported by analysis of opioid-like activity in their cerebral spinal fluid and the positive responsiveness to drugs that block the action of opioids in the brain. Brain opioids, such as beta-endorphins, are endogenous opiate-like substances in the brain; and elevated levels of these substances are associated with either pleasurable or anesthetic effects. The beta-endorphin hypothesis of AIT suggests that the modulated music stimulates, and possibly normalizes, certain areas of the brain which release endogenous opioids. It is established that listening to music activates endogenous opioids. One possible area in the brain involved in the release of beta-endorphins is the inferior colliculus of the midbrain which receives sound input and is rich in opioid receptors. At the present time, there is no empirical support for this hypothesis. However, it is interesting to note that naltrexone, which blocks the action of beta-endorphins, is not recommended for schizophrenic individuals because it may intensify abnormal social behaviors even though it can reduce auditory hallucinations in some. Similarly, Dr. Guy Berard has always stated that AIT should not be given to schizophrenic individuals because AIT may make their condition worse. Since brain-opioid activity is hard to measure, this hypothesis is presently hard to test. However, Dr. Panksepp is currently exposing newborn chickens to AIT music and is examining possible biochemical changes in their brain. Preliminary results suggest that 10 days of exposure to both normal and modulated music can have significant effects on certain brain neurochemical systems, especially brain serotonin activity. These results were presented at the 25th Annual Society for Neuroscience Convention in San Diego on November 13, 1995 (see the current issue of the Autism Research Review International, 1995, Vol. 9 (4) for a summary description). Recent studies indicate that autistic individuals do not have normal circadian rhythms of the pineal hormone melatonin. Melatonin helps regulate a host of neuroendocrine functions including sleep patterns and autoimmunity-both of which are abnormal in autism. Researchers have been able to worsen autoimmune symptoms in lab animals by altering melatonin rhythms. This hypothesis suggests that auditory integration training (AIT) improves autism by helping to normalize pineal function and melatonin rhythms which would improve autoimmune symptoms. This would explain why Dr. Guy Berard noted an improvement in allergic disorders such as eczema, hay fever, and asthma after AIT, and would support work by Drs. Reed Warren, V.K. Singh, and others who believe that autism may be related to autoimmune system dysfunction. Boswell further speculates that AIT reduces sound sensitivity and improves pineal function by increasing melanin in the stria vascularis in the middle ear. The stria is the "battery" of the cochlea. Additional melanin in the stria would result in changes in the endolymph and hair cell function. Melanin has many functions, from aiding neural development to increasing neural transmission. Melanin in the inner ear can absorb acoustic energy much as melanin in the skin absorbs photic energy. Research has demonstrated increased strial melanin in response to impulse noise. Increased melanin through AIT might help normalize audiograms and mitigate the effects of hyperacusis on the pineal gland, which responds to environmental stimuli. AIT could then improve pineal function, normalize circadian rhythms, and decrease autoimmune symptoms.